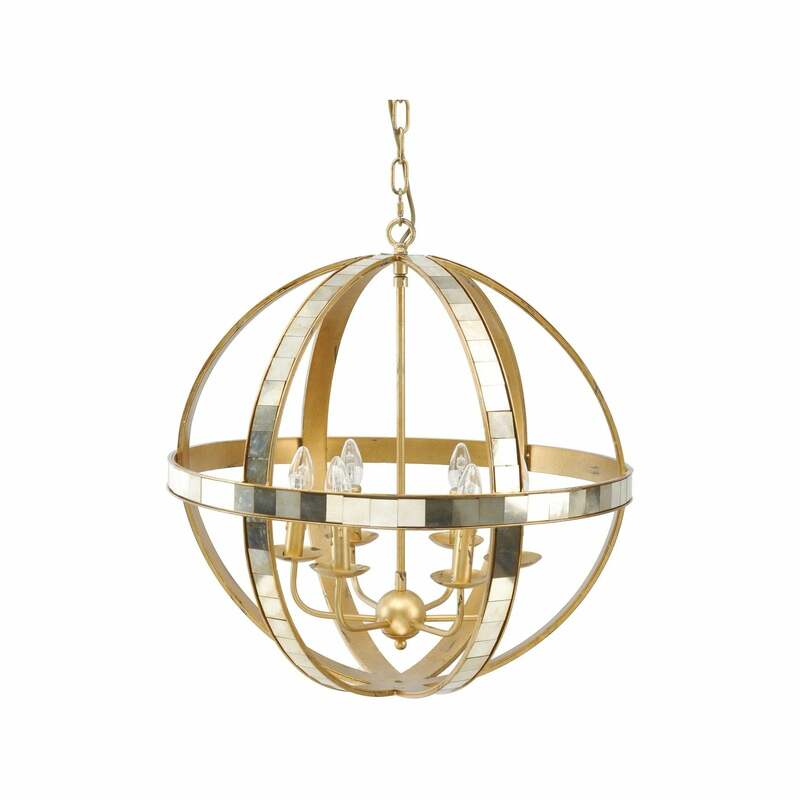 Elegant and stylish Orb Chandelier with mirrored glass is striking and unique, merging old-fashioned glamour of Mid-Century style. The scratched gold finish on the orbiting bands is clad with square mirror pieces, juxtaposing the geometry and amplifying the light given by the 6 candle style lights arranged around a central ball. 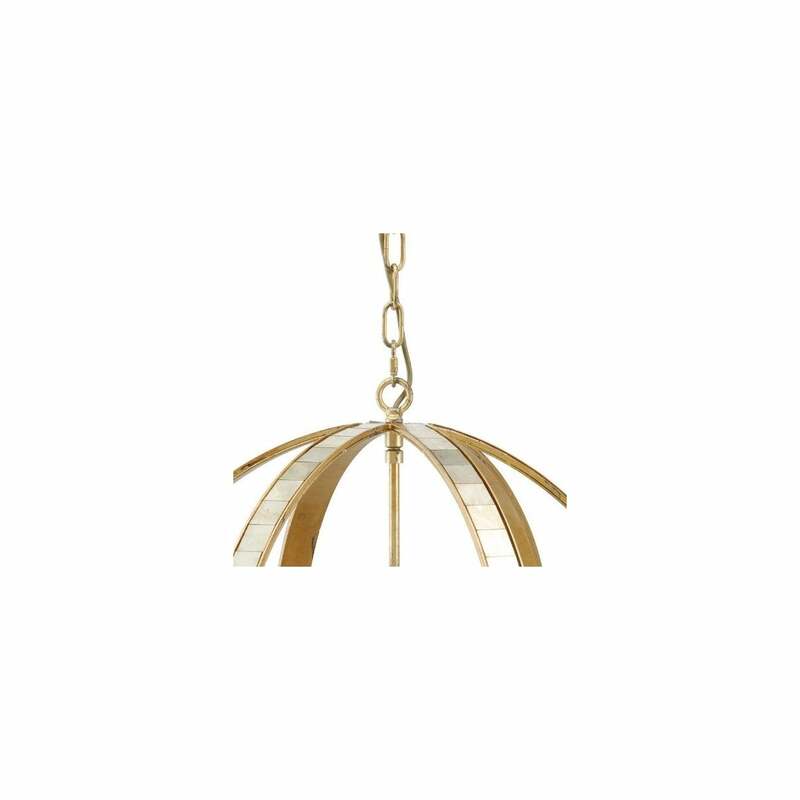 Hang this Gold Chandelier in living room or bedroom to add a touch of modern splendour to your spaces. 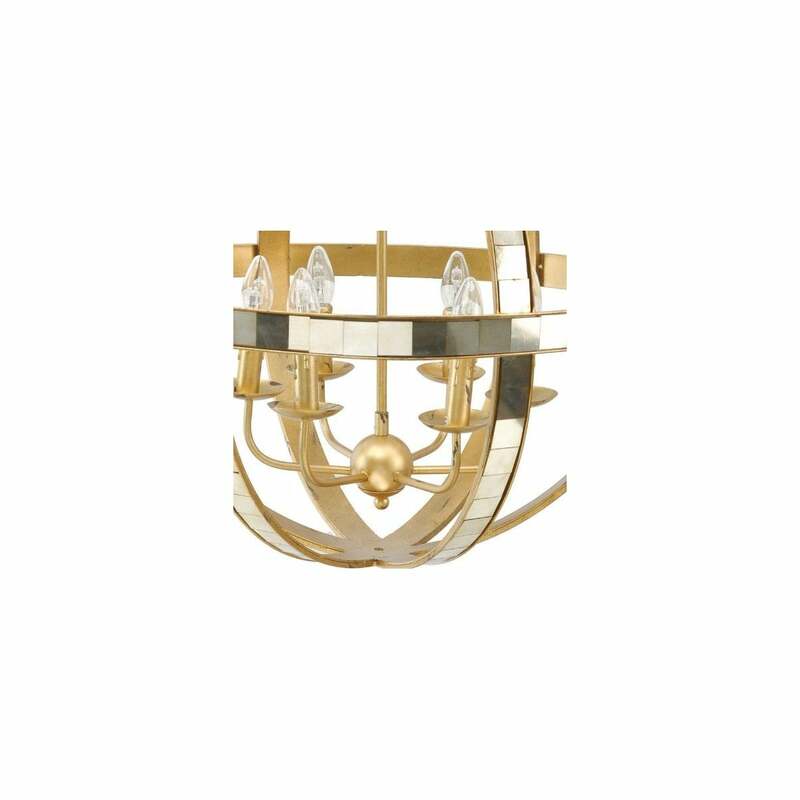 This spectacular Modern Ceiling Light is a fantastic combination of the old and the new, making it a versatile investment for any home.